Myande Group is the manufacturer of Drag Conveyor in China. During these years of exporting, Myande now has rich experience in the worldwide markets. 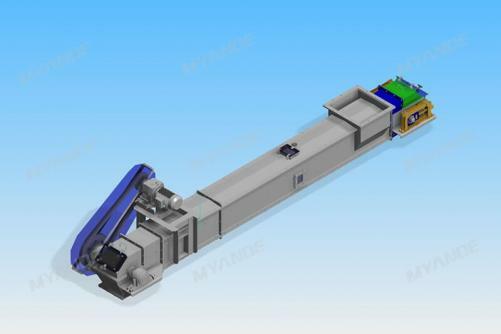 Myande MMST Drag Conveyor is optimized conveying equipment specially designed for the transportation of soybean, cotton seed, canola seed, corn germ, meals and other processed materials in edible oil processing plants. ◎ High strength whole-piece structure. ◎ Pusher plates made of high strength wear-resistant material with guaranteed five-year working life. ◎ Flexible conveying mode design.